As they’ve done every year for the last decade, many economists predicted a local real estate crash this year, with prices falling by up to 20 per cent. I didn’t see that prediction coming true and it hasn’t. Nor do I believe it will happen in 2015. Here’s why: 1. Homes are more affordable In 1990, the average GTA home cost half of what it does today. But interest rates were 12 per cent for a five-year term at the time. So if a two- bedroom condo cost $250,000 in 1990 and you had a 20-per-cent down payment, your monthly carrying costs, including interest, taxes and common expenses, were about $2,500. The average rental for a two-bedroom condo at the time was $1,100, according to the Housing New Canadians research group. So the economics of ownership made no sense. Today, even with a price of $500,000, if you have a 20-per-cent down payment, with current interest rates at 2.5 per cent, the total monthly payment is what it was in 1990. It is still $2,500 per month, including common expenses and taxes. But in downtown Toronto, the average rent paid for a two-bedroom unit is now more than $2,500 per month. Most tenants who can afford $2,500 a month or more in rent can probably afford to buy a home now, if they have 10 per cent down payment or more. 2. The lesson from the last few years . . Toronto Real Estate Board reports statistics each and every month, and the trend is consistent . . .values steadily increasing, demand increasing and the supply for single family homes ( for sale) is actually shrinking. 3. Impact of mortgage rule changes is minor The mortgage rule changes imposed recently lowered the amortization period to 25 years if you were putting less than 20 per cent down and lowered the percentage of your income that could be used for borrowing from 44 per cent to 39 per cent. The result was that buyers who would have purchased in late summer or fall moved up their purchasing decision to the spring. By fall, this meant many would-be first-time buyers were looking to rent instead of buy. This contributed to low vacancy rates. 4. 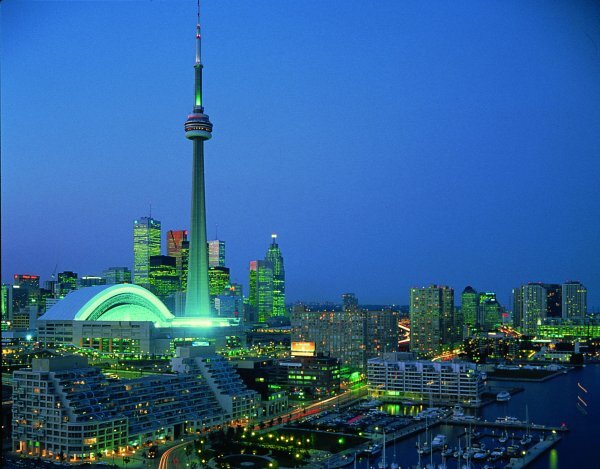 2015 will be fine Despite the doom and gloom, Toronto condo rental vacancy rates remain at less than 2%. This means that for those people who cannot sell their condos, there are plenty of renters who can cover the monthly costs. 5. Debt-to-income ratio not relevant As our American friends like to say, “that dog won’t hunt.” Every month we are told that because the ratio of household debt to household income continues to rise — and is now at 164 per cent — there is a danger of a real estate collapse. What this really means is that the average Canadian household has an income of $100,000 and total debt of $164,000 (of which their real estate debt constitutes-two thirds). Again, as stated earlier, with interest rates at 3 per cent, this is not a dangerous problem. If interest rates were 12 per cent, as they were in 1990, or if all your debt was on your credit cards (with interest rates averaging 18 per cent), then this would be a serious problem. Note to readers: pay down or eliminate your credit card debt in 2013. Note to government: with mortgage interest rates at 2.5% or less for a 5 year fixed mortgage, it is almost criminal for lenders to be able to charge 18 per cent on consumer credit cards. 6. Interest rates may not rise until 2017 or 2018. The U.S. Federal Reserve is continually saying it won’t raise rates until things change dramatically south of the border. Our rates can’t differ much from theirs without harming our economy with a strong dollar and slower growth. These are all things to keep in mind in the coming year. Somebody has been predicting a Canadian real estate market collapse for the past 12 years. It hasn’t happened yet and won’t happen in 2015. Credit: Inspiration for this article goes to Mark Weisleder in Moneyville . .